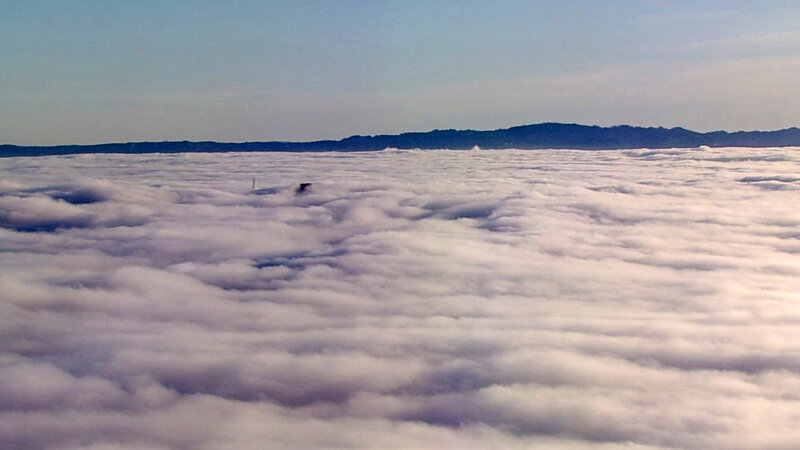 SAN FRANCISCO INTERNATIONAL AIRPORT -- The San Francisco International Airport has been put on a ground delay program this morning due to the fog by the Federal Aviation Administration, according to an SFO spokesman. All flights coming in from locations further than 1,625 miles were delayed this morning, Duty Manager Joe Walsh said. Walsh said in walking around the airport there weren't too many delays, with most flights being delayed about 15 to 30 minutes and a few that were delayed by 60 minutes, however he said that could change within the hour depending on the weather. Walsh said if the fog cleared, the FAA would likely lift the delay. The fog has also had an impact of the morning commute. The California Highway Patrol has issued fog advisories this morning for numerous highways and bridges around the Bay Area. Drivers using the Benicia, Richmond, Dumbarton, Carquinez and or Bay Bridges are advised to allow for extra commute time due to heavy fog, according to the CHP. Drivers are encouraged to slow down and use regular headlights while driving in the fog, avoiding high-beam headlights that can reflect light.